Interestingly, HP also has not published many details about the 15.6-inch AMOLED panel it plans to use. So far the only company that has announced a 15.6-inch AMOLED display for laptops so far is Samsung Display. This panel has a 3840×2160 resolution, a brightness level ranging from 0.0005 to 600 nits, a dynamic contrast ratio of 120,000:1, a very low response time, and wide horizontal viewing angles. The screen can reproduce 100% of the DCI-P3 color gamut, which is considerably more accurate when compared to LCDs available today. Furthermore, the monitor carries VESA’s DisplayHDR True Black badge thus supporting at least HDR10 spec. 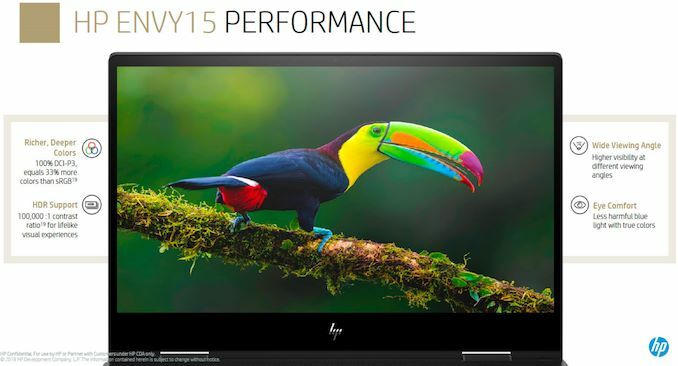 Keep in mind though that HP might use a different panel or different grade of panel. Is there any info on how they handle screen burn in on PC OLED's? TV's have less of a problem there as they do pixel shifting and have fewer static screen elements, but for computers it seems like it would be difficult to avoid. Absolutely zero problems with burn in. 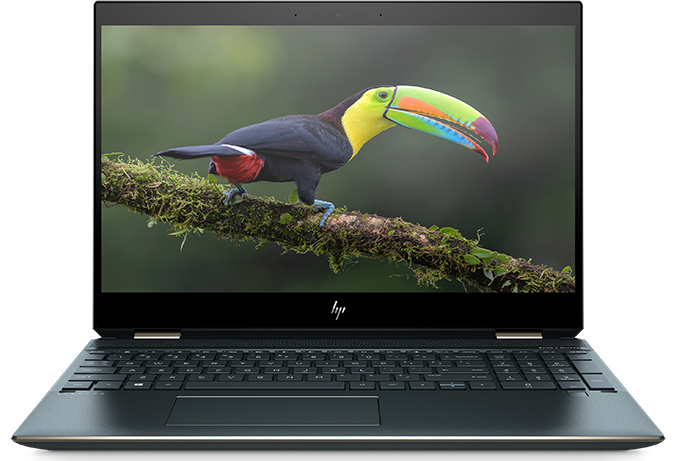 I have the HP x360 Spectre 13.3" 2560x1440 OLED from CES 2016 as my daily driver. I use it 12-14 hours every single day. 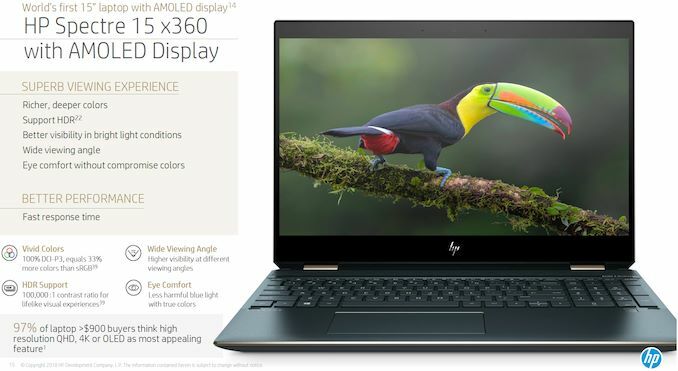 Mainly for work or work related tasks that involves having the same type of screen opened for hours on end, and I do not have even a hint of burn in. Granted, I've used the dark mode as far as possible because I was also slightly worried about it but I realized that compared to these burn in tests you often see referenced, laptops have a major difference in use. The TVs and monitors you see in those tests run 24/7 at very high brightness, and that's exactly you should avoid. OLED screen needs to rest for a few hours every day 24/7 use is not suited for organic materials, and high brightness means you stress them needlessly. I think the real future of OLED is QLED (which is basically just as good while not being organic) because the lifespan is substantially better and it is cheaper to manufacture. OLED was cool but it just isn't cost effective and is going to be replaced by scalable manufacturing technologies. That isn't to say OLED isn't superior at many things. In the same way plasma televisions were superior to LCD televisions, they died because the con's outweighed the pro's compared to the general performance on continually improving\evolving LCD displays.